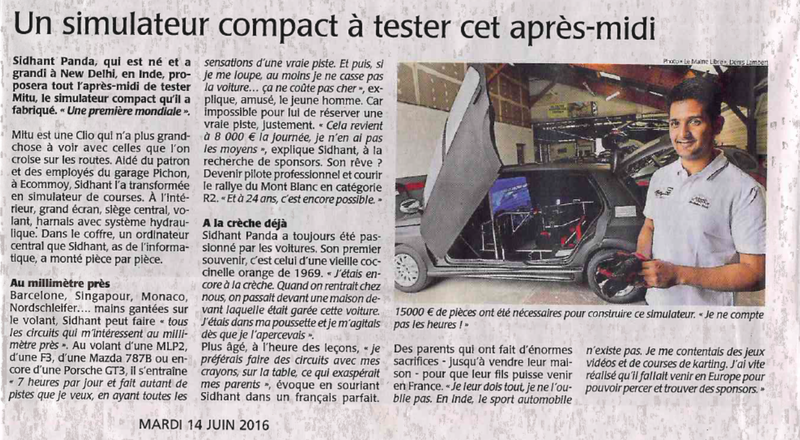 Part 2 of the documentary , reporting on the simulator that Sidhant constructed to prepare himself and raise funds for his season in rally. 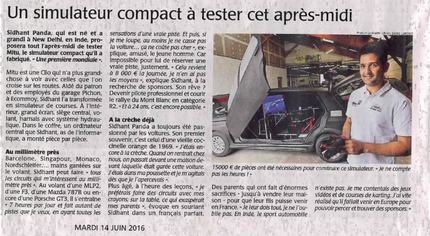 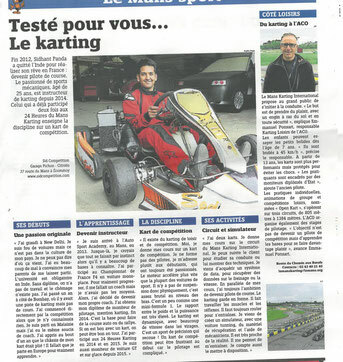 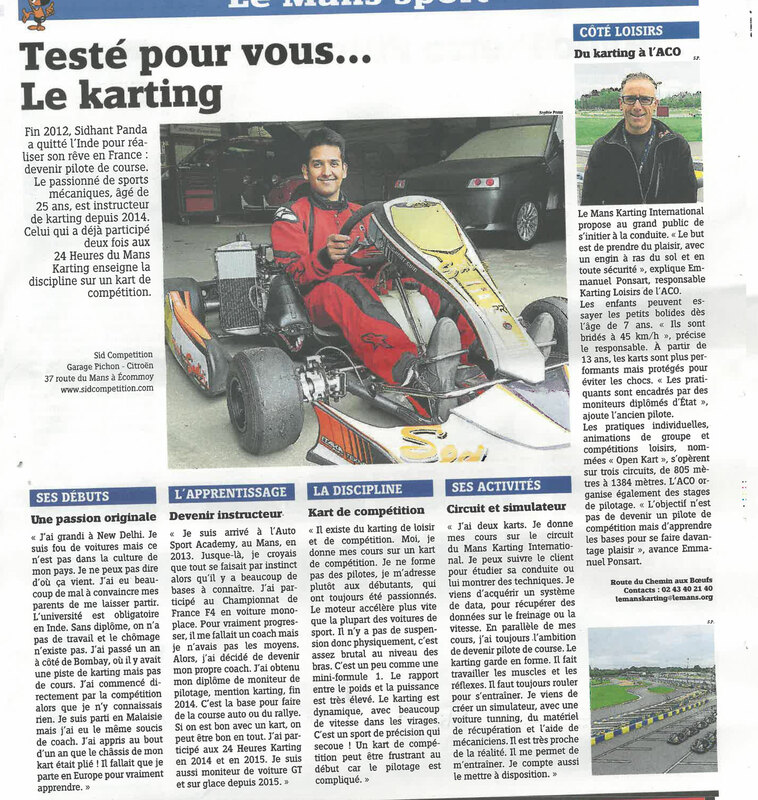 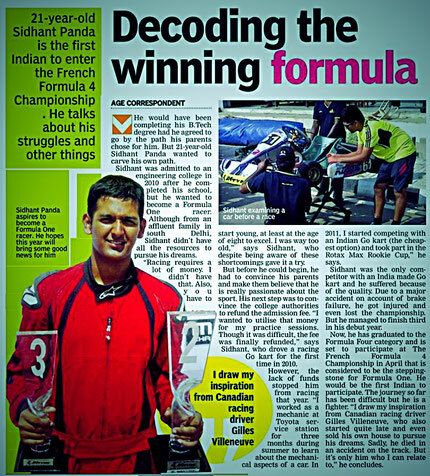 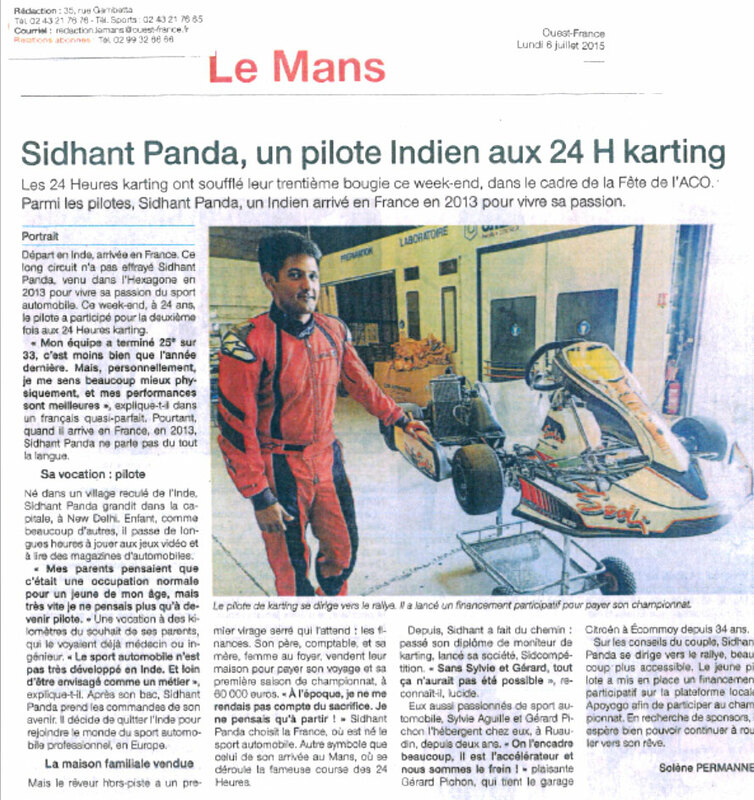 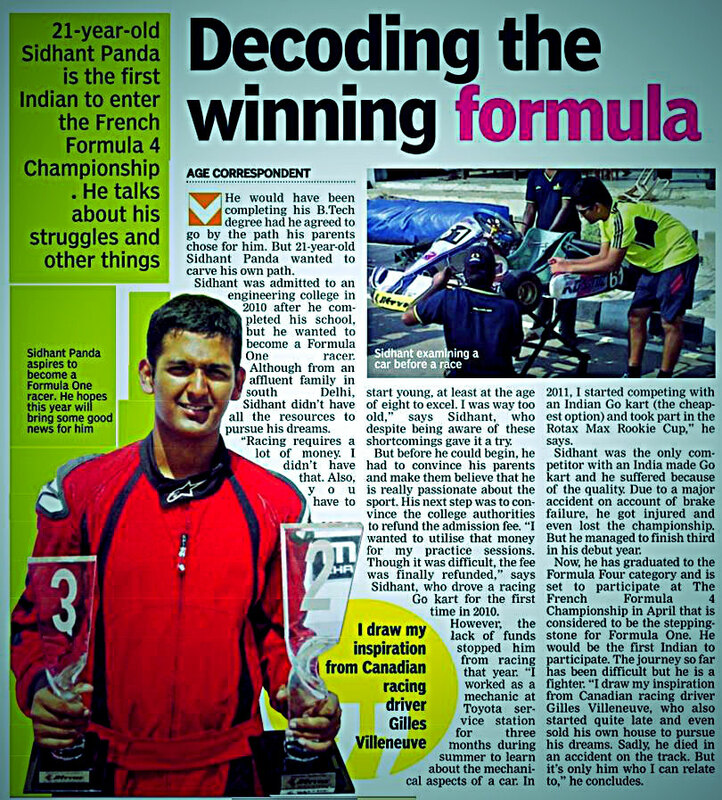 Article in Le Mans Maville about sidhant's job as a racing instructor. 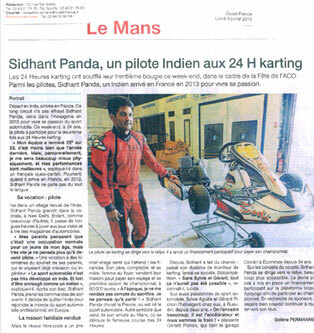 Tv interview by LMTV about sidhant 's crowdfunding project and his experience in formula 4 championship in France. 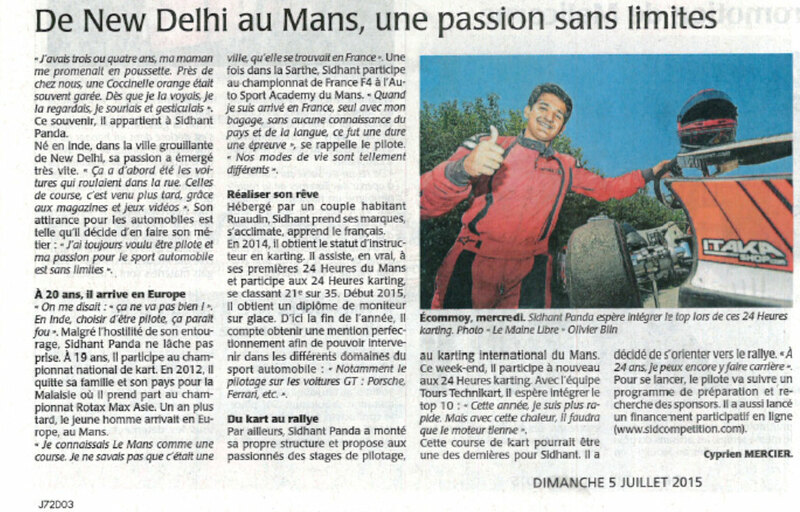 Radio interview by France Blue Maine about his crowdfunding project and Indian cuisine. Article in Le Maine Libre about his journey from New Delhi to Le Mans.